The Classical and Medieval Studies Program at Bates College invites applications for a two-year, four-course lectureship (80%), beginning in fall 2019. We welcome applications from candidates trained in the history and culture of Republican and Imperial Rome. The successful candidate should be prepared to teach three courses in Roman history and culture, and one course in Latin annually. Courses in Roman history will be cross-listed in the college’s history department. The preferred distribution of the four-course load across two semesters places two courses in the fall and two in the winter. In fall 2019 the successful candidate will be responsible for a class on the Roman Republic. A Ph.D. is preferred, but ABD candidates will be considered. Research or teaching interest in issues of social justice, and expertise in digital humanities are especially welcome. Salary and benefits are competitive. The college and the Program in Classical and Medieval Studies are committed to enhancing the diversity of the campus community and the curriculum. Candidates who can contribute to this goal are encouraged to identify their strengths and experiences in this area. The Program in Classical and Medieval Studies at Bates combines a uniquely interdisciplinary study of cultural history with an emphasis on empowering students themselves to read and assess texts in the relevant ancient languages. The program is distinctive in linking the study of classical antiquity with that of the medieval worlds and distinctive in its scope. 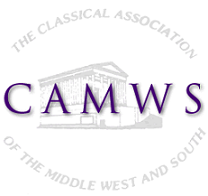 For more information about the program, see our webpage (http://www.bates.edu/classical-medieval/). Application Instructions: Review of applications begins on June 1, 2019 and will continue until the position is filled. Applicants should submit the following: a letter of application, curriculum vitae, a teaching statement, with attention to matters inclusiveness and equity, graduate transcripts, a writing sample, and three letters of recommendation. Employment is contingent upon successful completion of a background check. For more information about the college please visit the Bates website: www.bates.edu.